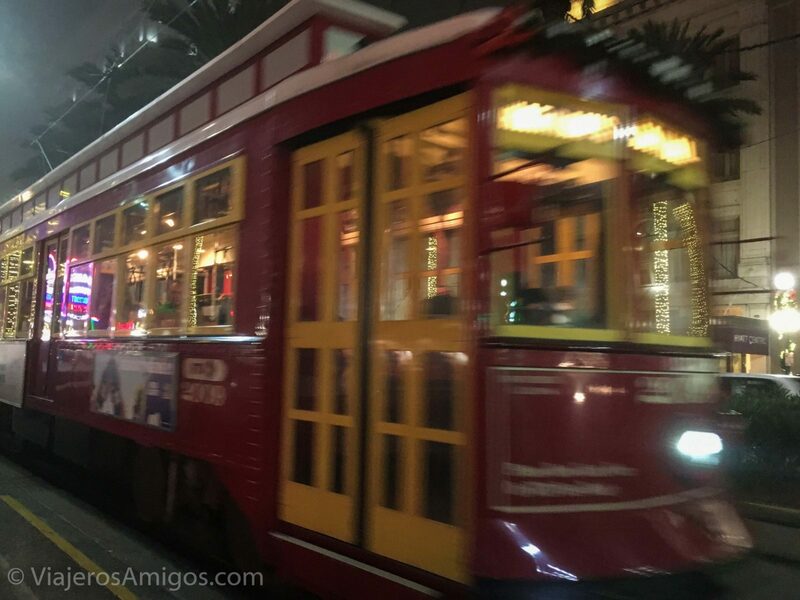 The Historic New Orleans Streetcars - Viajeros. Amigos. 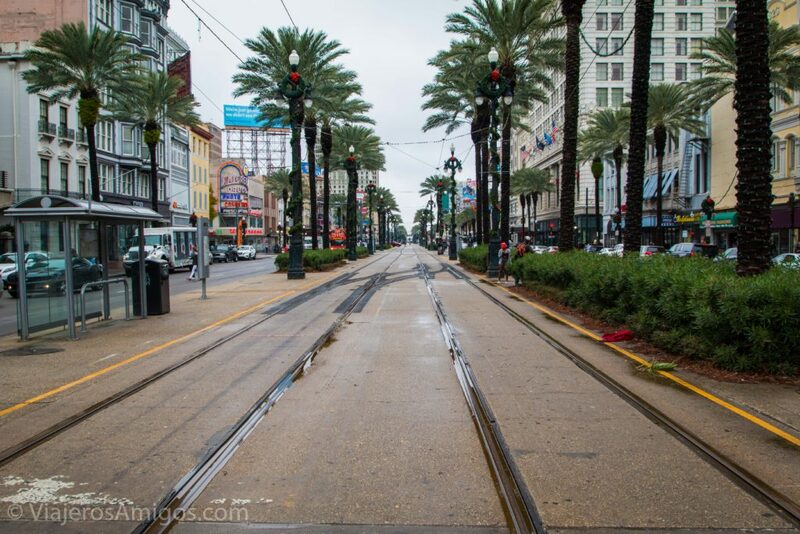 New York has the Subway, San Francisco has the Trolleys, and New Orleans has the Streetcar. 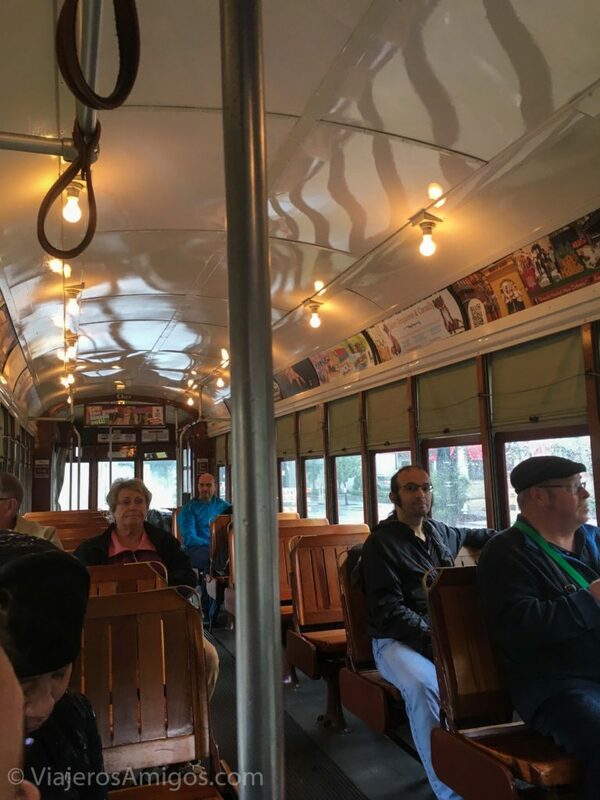 Technically, they’re the same as trolleys, but they have been going since before the trolley engine was created, so the streetcar name has stuck. New Orleans’ streetcars are part of the larger RTA (Regional Transit Authority) that runs the streetcars and buses, among other things. You can use the bus to get around, but the streetcars cover all of the main tourist attractions, such as the Garden District, or the National WWII Museum. The streetcars have been running for quite some time and consist of 4 or 5 lines depending how you look at it. The RTA breaks it down into Canal, Loyal, Riverfront, and St. Charles lines, but the Canal streetcar splits into two directions, so I would consider it 5 myself. For a map of the streetcar lines, click here. The famous play A Streetcar Named Desire features the New Orleans streetcars and was written back when the city had many lines. Soon after the play was released, most of the streetcar lines were replaced by newer buses. Because of this widespread removal, the St. Charles Streetcar was for many years the only one in the city, surviving thanks to its status as a monument and the interest of visitors. The Riverfront Streetcar was added in 1988, followed by others, with the latest line opening as recently as 2017. 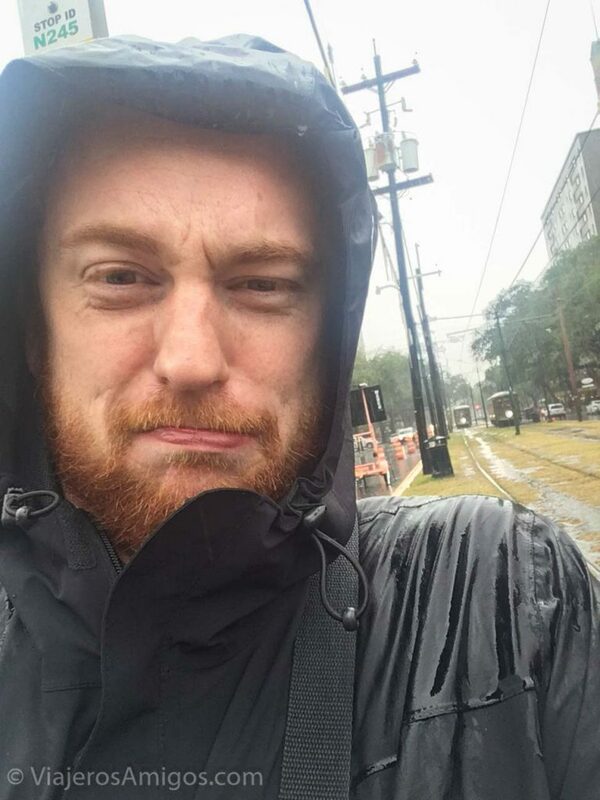 New Orleans is a wet city. The St. Charles Street line is the longest running in the lines. It also has the oldest cars, so don’t expect any air conditioning. It runs from Canal Street, on through the Garden District, and provides a nice view of the houses lining St. Charles Avenue. When we visited, there was some work being done along the route so we would exit at Lee Circle and transfer to a city bus that would drop us off at Canal Street. 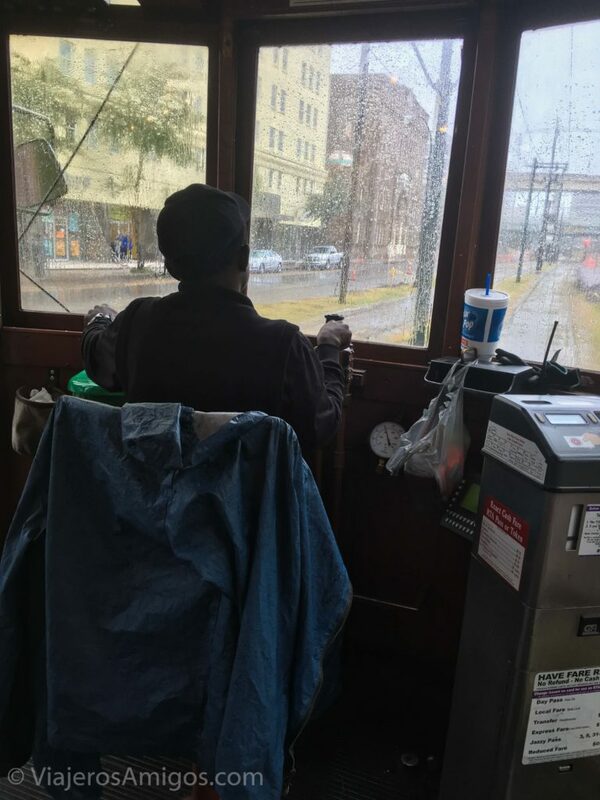 Riding the streetcar is like stepping back in time. The driver pulls a lever to open the door and close it. Then the driver moves some handles and valves around to switch gears and signal as it passes certain points. The driver then yells out the major stations, so you’ll need to keep an ear ready if you aren’t familiar with the area. If no one is requesting a stop (either by asking the driver or by pulling a cord that signals to stop), the driver will continue right on by a stop, so it’s wise to pay attention to the ride. Fares on the streetcars are cheaper than a New York city subway ride. One-way fares cost $1.25 for standard fare, and 40 cents for Senior Citizens/Disabled. If you anticipate riding the streetcar several times, it may be more economical to order a multi-ride pass. The RTA calls these “Jazzy Passes” and offer them in 4 groupings: one day for $3, three days for $9, five days for $15, and thirty-one days for $55. Unless you are doing the month-long pass, it costs the same per day no matter how many days you buy. We bought a 3-day and a 1-day pass for our trip. You can purchase the passes multiple ways, such as at a Jazzy Pass vending machine. The simplest way though would be to download the GoMobile App, which is what we did, and pull up the pass on your phone when you board. The app also allows you to check in on trolley arrival times. When you arrive at a stop, you can look up the stop number printed on the sign, and find out how long you should expect to wait. For more information on the streetcars, you can visit the RTA’s website. For more information on specific routes, click here.